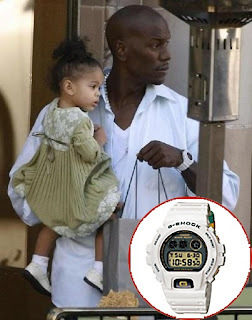 Actor, Model, and Singer Tyrese was spotted recently sporting his G-Shock. Look for Tyrese in the new release of the upcoming sequel to the summer blockbuster Transformers. Tyrese is yet another example of why G-Shockin is in, hot and a staple in any man's wardrobe.